The sinking feeling you have getting stuck in the traffic, wading through the sea of people in the crowded market every day for things you need, disappointment of leading a mechanical life where you bang your head with smartphones and laptops through the day to be in sync with the need of the professional life. A life devoid of simple joys of nature is no life at all. There are times when the heart ache for visiting a place where the views are not restricted by the four walls of the flat, that the nature has created species other than the humans to come across, that there are hills, lakes, valleys, vegetation and wildlife apart from the flyovers and high-rise apartments. It’s this very reason people take a break from work and head to a getaway to rejuvenate the life. My job is not only to pinpoint a disease but, like a doctor, to recommend the solution as well. 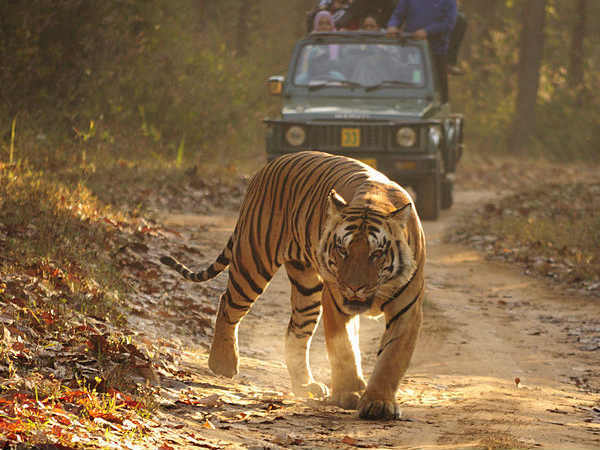 A jungle safari in Corbett is definitely a good idea to inject some thrill in the otherwise monotonous life. Some 240 Kms away from Delhi, its just 6-7 hrs drive away. For those in love with a train journey, can consider boarding the Ranikhet Express from Delhi (10.45 pm) that will take you to Ramnagar – closest town and railway station to the Park – by the next morning. 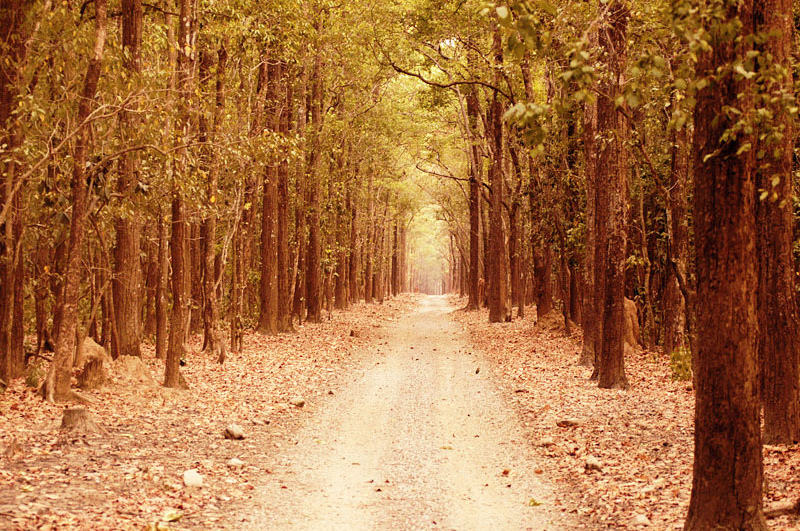 Named after famous hunter turned conservationist – Jim Corbett – the fascinating park is spread over 500 sq. Kms. The famed hunter turned conservationist is believed to have saved many lives by hunting man-eating tigers & leopards, 50 and 250 respectively. Wildlife in Jim Corbett National Park? People go to Corbett to have a date with Tiger. I hate to bust this bubble of expectation by saying that they are too few and far between. One needs luck to see any of the big cats, be it tiger or leopard. However chances are high for sighting deer, elephant, golden jackal, Himalayan Black bear and Indian Pangolins among other animals. With a keen and sharp eye, you can also revel in spotting Peacock, Parakeets, King Fishers, Doves, Woodpeckers, Partridges, Kaleej, Ducks and Seagull among many. Crocodiles (Mugger) and Gharials have been saved from near extinction by government supported breeding and relocation. Jeep is the best mode of transport for jungle safari. In case you are someone with taste for uncommon, elephant/horse safari options are also available. Like many other sanctuaries in country, the park remains close during the monsoon – from mid-June to mid-November. First, the Safari route becomes submerged due to rain and second, to allow breeding for the resident wildlife unhindered from the intrusive travellers. 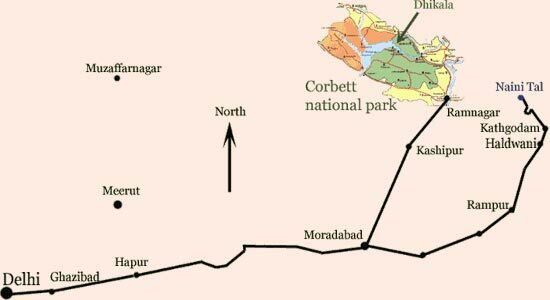 So, the best time to visit Corbett is summers (March to Mid-June) and winters (December to February). Winter has the extra charm of migratory birds that come all the way down here to escape harsh winter of Central Asia. I suggest you to visit the park during spring to get the best of both seasons. 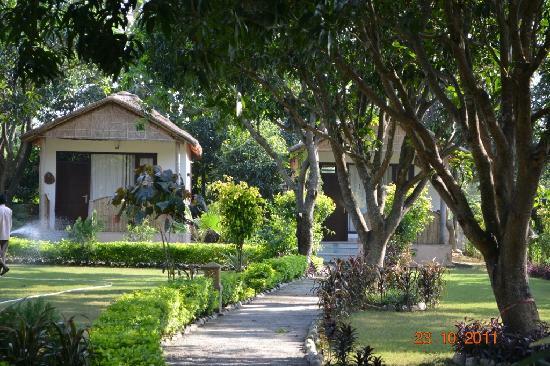 A great blend of luxury living with adventure activities, ‘PRIM Resorts Corbett’ is the best resort in Corbett. Aesthetically spread in a vast area amid the dense forest, it boasts of panoramic view of Nainital hills. If you are heading in here at Jim Corbett to explore the virgin jungle treks and hidden wonders, then it’s a great stay option. Delicious food, accessible location, and a range of outdoor sports like trenching, fox flying, etc. will add to the overall thrill and experience. 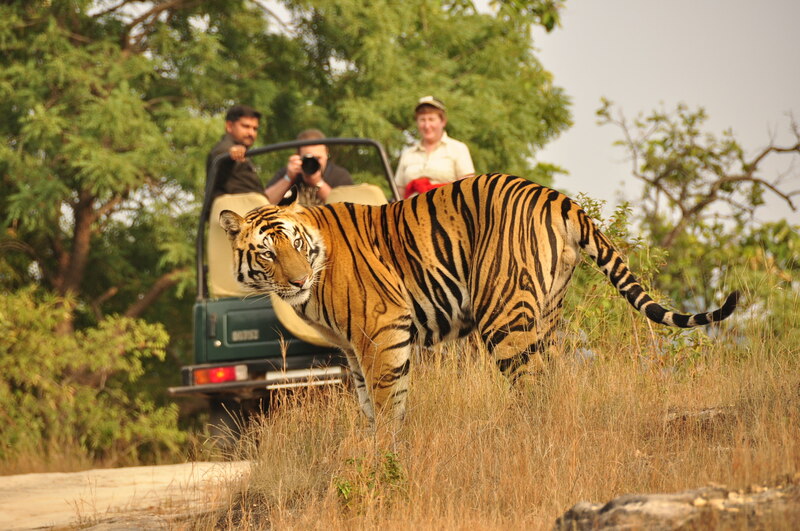 Things you should know before planning a trip to Sariska!! Sariska is a small town; spread over 800 sq km is located in the district of Alwar, Rajasthan. In the year 1955 the town was declared as the Sanctuary which later by 1979 turned into a National Park. The landscape of Sariska is dominated by the Northern Aravalli range, with rocky terrains, lush forests and sharp cliffs. What is the ideal time to visit Sariska? Sariska being a part of Rajasthan is blessed with hot weather, so it is best to plan a trip somewhere around early September till late March. This is considered as the ideal time to visit Sariska as you get pleasant weather to explore the sightseeing locations of the town, whereas the sanctuary is also most visited during the same time. By Air: Jaipur, is the nearest airport from Sariska which is located at a distance 107 km. You can take flight to Jaipur and from their train or taxi services to reach Sariska. By Rail: Alwar is the nearest railway station from Sariska, it is located at a distance of 37 km. 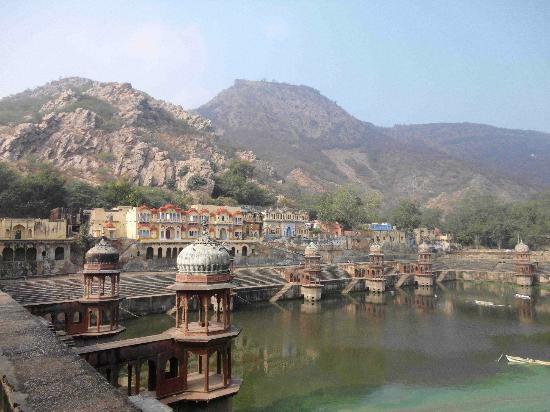 Once you reach Alwar, you can take a taxi or bus to reach Sariska. By Road: Sariska is very well connected with the Delhi-Alwar-Jaipur Highway, so you can reach the town by taking taxi services or can also opt for bus services. Sariska is mainly popular for its wildlife sanctuary, whwere you can locate Tiger, Hyena, Chital, Jungle Cat, Leopard, Chausingha, Jackal, Sambar, Wild Dog, Langur, Nilgai, Civets, Wild Boar, Rhesus Monkeys, etc. The sanctuary is spread over an area of 800 sq km with almost 500 sq km of core area. You can visit the park anytime but the best time is during the months of October to April. In the past, Sariska has witnessed some Royal times as it was home for the rulers of Alwar. The Kankawadi Fort, Sariska Palace, Bhartrihari Temple, Shiv temple, etc. are some of the other heritage gems which you can explore during the visit. You can explore the mystery of jungle trails by booking Jeep safari. The jeep safari gives you the experience of getting up close with wild animals, but make sure that silence is maintained while undertaking the safari so that the animals don’t run away. You can get the jeep safari booked from agents or can just ask the resort to arrange ne for you. For a perfect holiday in Sariska, you should only stay at PRIM Resorts as the beautiful boutique resort welcomes you with royal stay, ethnic hospitality, and exotic landscape full of lush vegetation, lip-smacking cuisines and other activities. It is one of the best resorts in Sariska, you not just get the time to rejuvenate but also get to enjoy different In-house activities like Rifle Shooting, horse riding and much more. The resort’s travel desk makes sure that you get o enjoy every bit of your holiday in Sariska and leave with bag full of good memories. There are pages in history that turns head and changes fate. Chail is a gift of one such moment – an exhibition of ego, a vengeance of the wounded pride, and a reminiscence of royalty. Bhupinder Singh – Maharaja of Patiala – was banned from Shimla by Lord Kitchener in 1891 after a fallout. That was the moment he vowed to create a summer capital even better than Shimla. 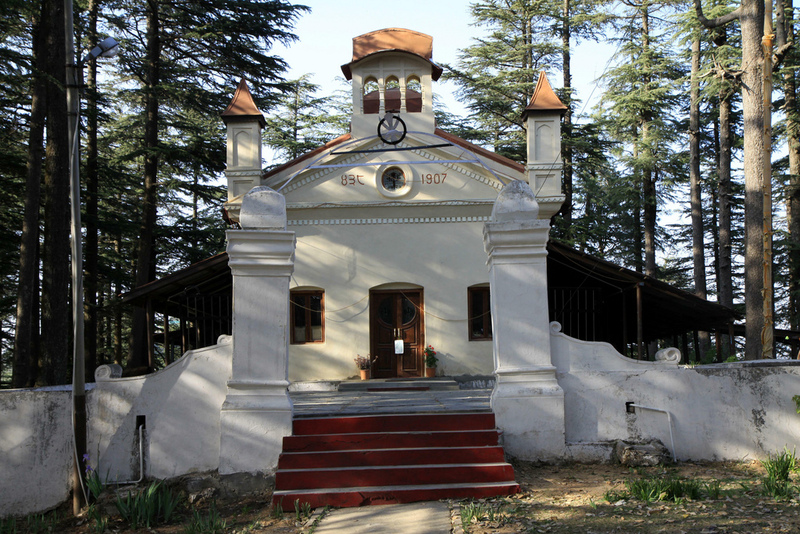 Chail – a nondescript village till then – was going to come up on the tourism map of India. Another tourism gem in the glorified crown of Himachal, Chail outperform even Shimla in beauty and serenity. Set amidst the Shivalik Hills – some 45 Kms from Shimla – it offers enticing view of lush landscape, captivating mountains, dense and dreamy forest and a lifetime of fond memories. Chail Palace: Decidedly – the heart of the Chail, a reflection of the royalty, and a glimpse of the lavish lifestyle – not visiting the palace might give you a lifetime of regret. Spread over a whopping 75 acres, it overlooks Shimla and Kasauli. 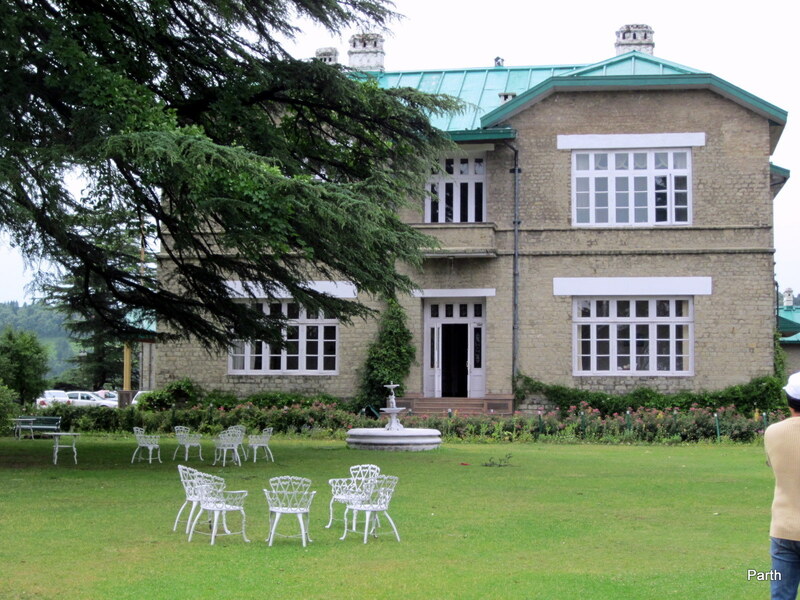 The palace has lawns, deodar forests, and badminton and tennis courts all within the compound. 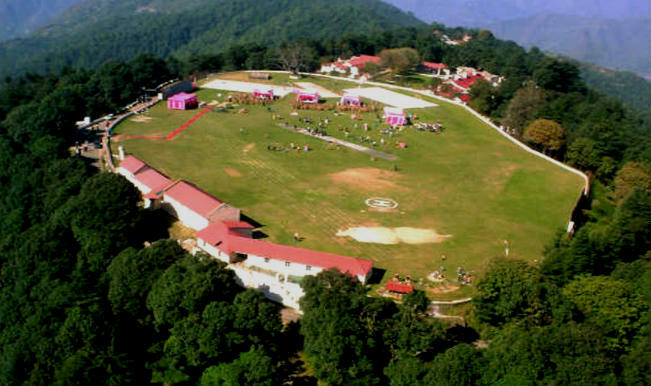 Chail Cricket Ground: Be a part of the history by visiting this record breaking highest cricket ground (2200 m) in the world. The view is plain awesome with surrounding deodar forest. It is also used for other sports such as football, basketball and polo. Chail Wildlife Sanctuary: The Chail wildlife sanctuary is located between Krishna River and Giriganga River, covering around 200 villages in between. Wildlife such as leopards, brown bears, hogs, ghorals, sambars and wild pheasants can be spotted here. This is one of the rare places where the endangered species of Khaleej can be seen. Gurudwara Sahib: A double delight of natural and spiritual peace, the temple was built in the year 1907, on the outskirts of Chail. The remote location makes it less crowded and the entire better for seeking solace. Those not so much spiritually inclined can find solace in lush green surroundings and the enchanting architecture. 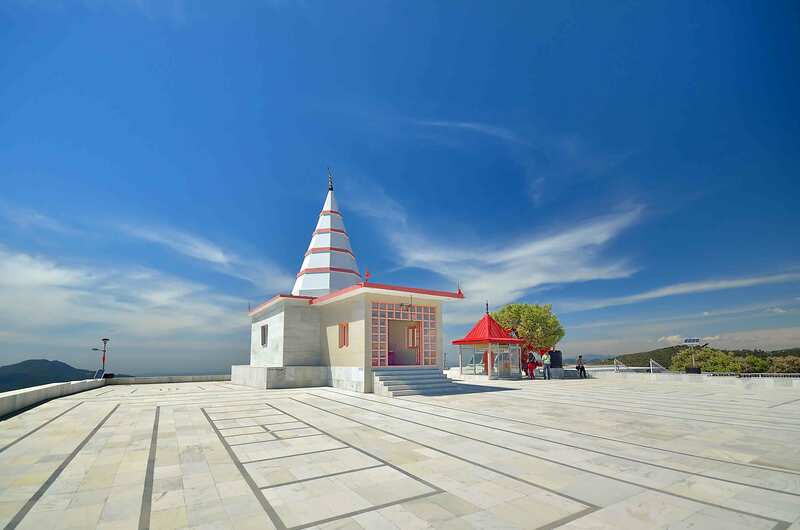 Kali ka Tibba: One of the most popular places to see in Chail, this hilltop structure offers amazingly beautiful bird’s eye view of the whole valley, especially Choor Chandi Peak and Shivalik range. If you manage to come here at dawn, a rich and candid view of the diverse wildlife of the Chail Sanctuary will make your day. Sadhupul Lake: An ideal place to spend your evening at, the beautiful lake is perfect for a romantic getaway. 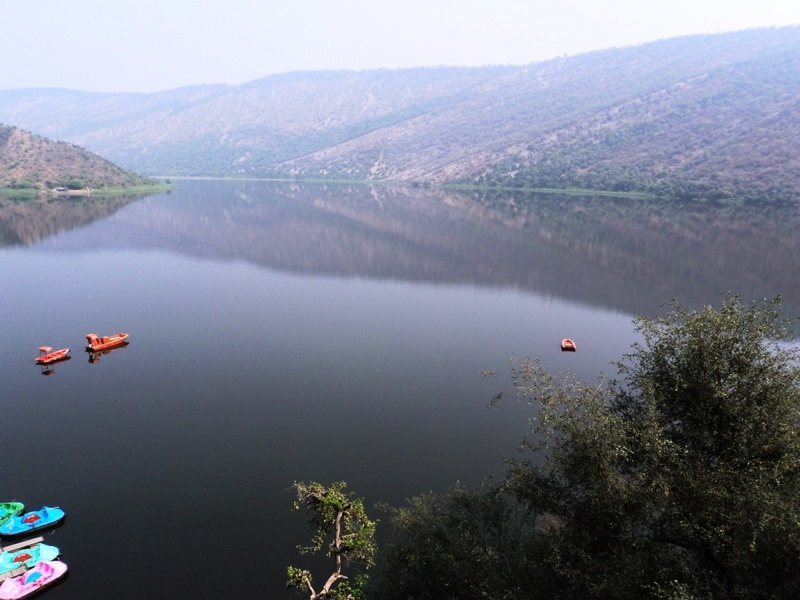 Situated near the Sadhupul, the lake is thronged by the tourists and locals alike. The constantly blowing breeze here sooth every nerve and provide a very calm ambience. There is also a restaurant nearby to take care of your appetite. 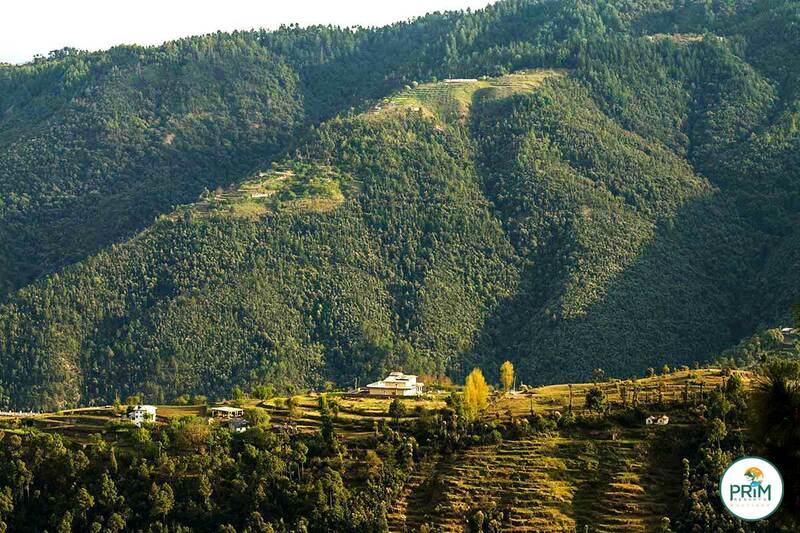 Like all other top hill station in India, the best time to visit Chail is from April to October. 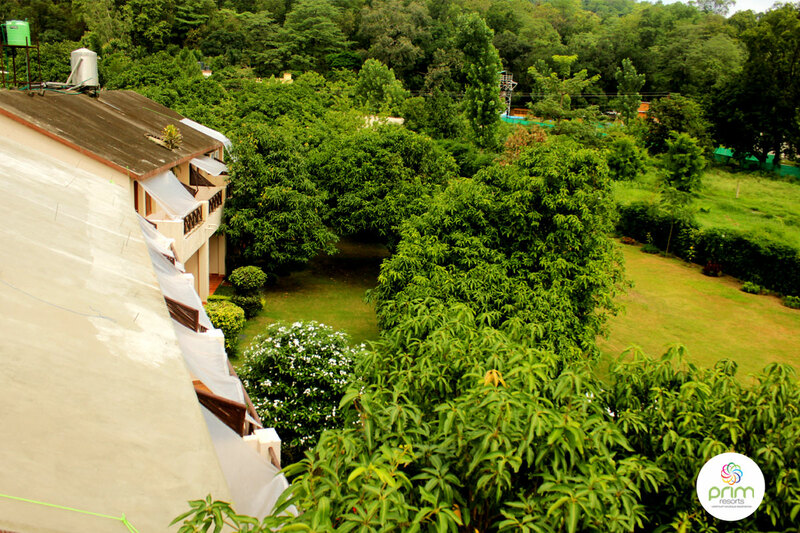 What would you call a resort spread over 5 acres, situated on a hill-top, and surrounded by Jungles all around? The ‘best resort in Chail’ I hope. With best in class service, dedicated staff, clean rooms, finger licking food, it promises to take care of all your needs. Spending vacations far away from the concrete jungle while heading towards the real jungle can definitely make your vacations interesting. Corbett National Park is one such beautiful location near Delhi, where you can actually have fun time with family while indulging into the jungle thrills. 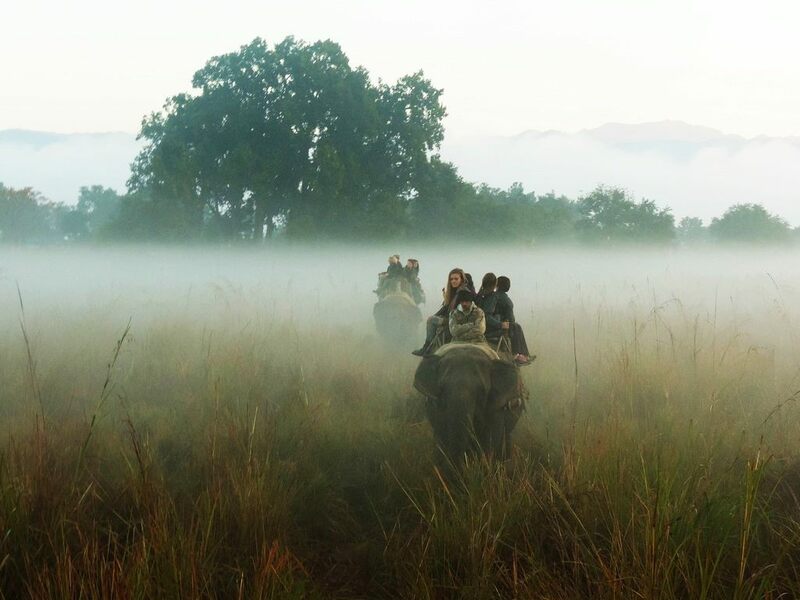 Safari is an obvious activity which is done by everyone who visits Corbett, and with family it becomes more enjoyable. 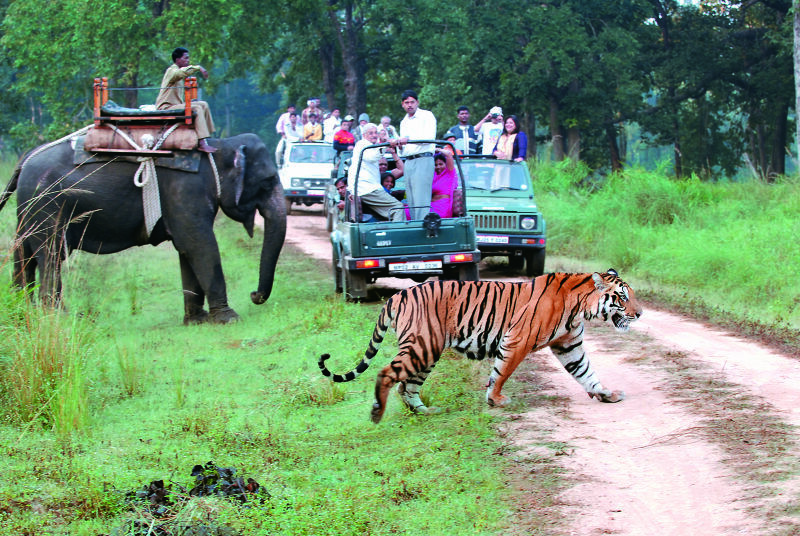 In Corbett, you get three types of safari options- Jeep, canter and elephant. Jeep safari is the most popular and preferred safari option in the town; it gives you more personal space with easy accessibility to every zone. Even the chances of spotting tigers and other wild animals are more as jeep safari takes different trails. The second safari option is canter, which is best for big groups; it takes a particular trail which makes the chances of spotting wildlife lesser than jeep safari. The third and final safari option is elephant safari; you and your family will love it as elephant never takes a specific route which makes it a very unique experience of exploring wildlife. 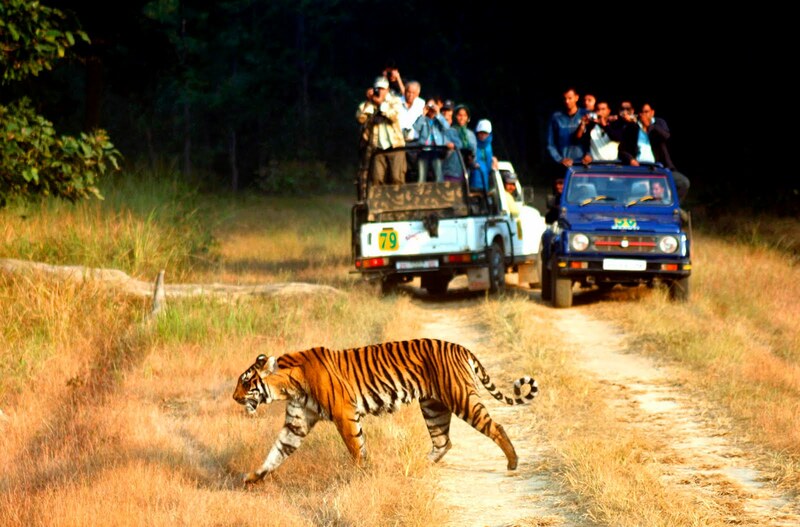 It is one of the most exciting activities to enjoy with family in Corbett. It is done on Kosi River; a rope is tied from one end to the other end of the river. With the help of expert advice and guidance, you have to cross the river while hanging on the rope and balancing the body weight. Kids love this activity as it is full of fun and thrill. Most the resorts arrange this activity for their guests on request. 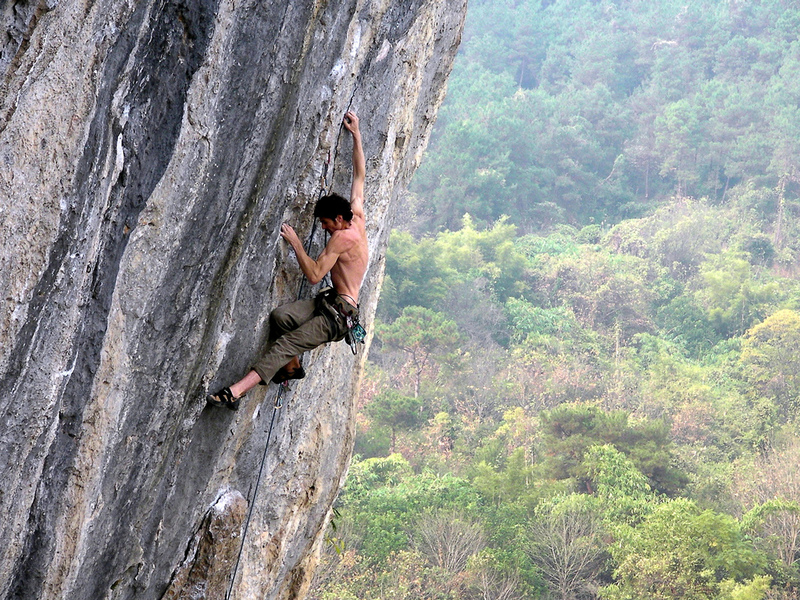 You can have a great family time in Corbett National Park, other than safari and river crossing; you can also try your strength with rock climbing. It is mainly arranged by the resorts for their guests on request. You can try adventure activity thoroughly with proper assistance and guidance. Your kids will definitely love bird watching; in Corbett you can find different kinds of birds chirping and flying high in the deep blue sky. This is one of the easiest activities which can enjoy in anytime of the day. 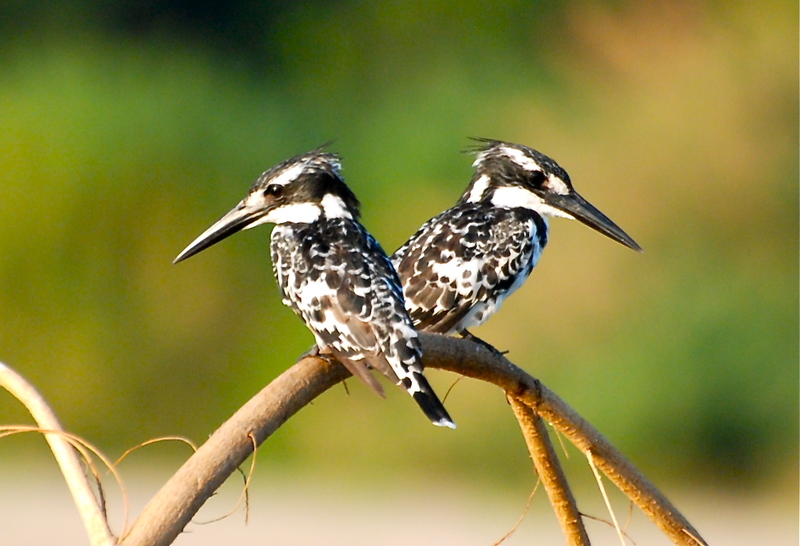 Just take binocular and watch out for birds like Rain Quail, Black necked stork, Himalayan Bulbul and Black winged Stilt. This is everyone’s favorite pastime activity, you and your family can enjoy the bright sunny day on the riverside while handling the fishing rod to catch the mahaseer fish. This activity is also arranged by the resort staff, you can relax, read books while having chai-pakoras, while your kids catch some fishes for bonfire time. There are many luxury resorts in Corbett; you can easily look out for the best one after comparing the rates, amenities and other things. Like PRIM Resorts Corbett, the place not jut welcomes you with great hospitality but also gives you the chance to enjoy IN-house adventure activities like zorbing, bonfire, Burma Bridge, and much more. The resort insures that you get to spend some amazing time with family and get back to the concrete jungle with some beautiful memories. Manali is a beautiful hill station nestled in the serene solitude of beautiful Beas valley at a height of 2,050 meters. Covered with alluring monasteries, sightseeing locations, lofty peaks, adventure avenues and so much more, this top hill station in India is the perfect get-away for travellers to unwind. The crown of a destination ‘Manali’ is studded with number of glittering jewels in the form of places of tourist attractions. Let’s face it; you don’t come to Manali every day. So to ensure that you get the most out of your trip, we have come up with a detailed guide on must visit places in Manali. Here is a guide to make your vacation to the Switzerland of India a filling one. To start off with, jot down the most popular tourist places of Manali and mark those that interest you. If you are an adventure enthusiast, prepare a list of adventure sports offered at this elevated town of Himachal and select the ones you would take part in. Now search the most convenient as well as value for money accommodation in the city. Prim Resorts can be a rewarding choice given its strategic location, pristine panorama and commendable hospitality. Now accordingly pack your bags and arrange itineraries. Follow these and your trip would be a remarkable experience. Manali is a destination that serves all kinds of tourists, be they adrenaline junkies, history buffs, romantic couples, family on vacation or nature lovers. Manali has its own unique charm to please every guest. Here is a detailed list of places to see in Manali on your trip to this marvelous land. 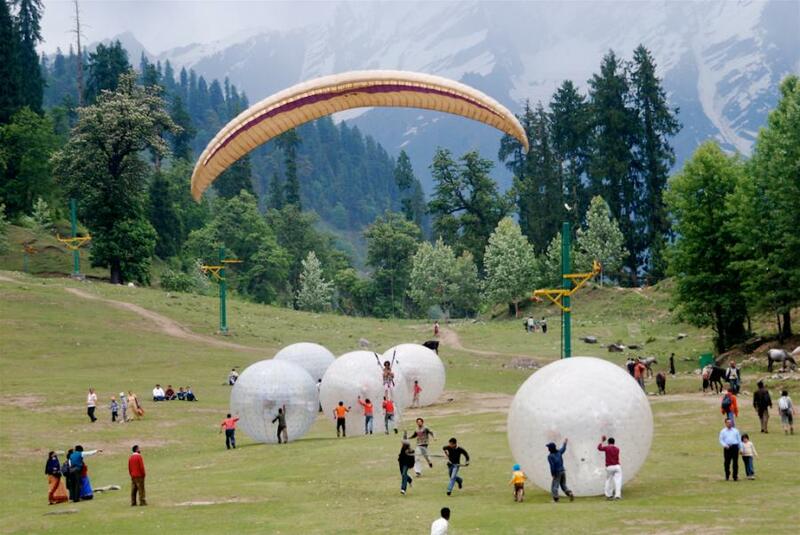 Solang Valley – Just the right place for adventure seekers, one can indulge in activities like paragliding, trekking, rock climbing, zorbing etc. at this snow-laden destination. 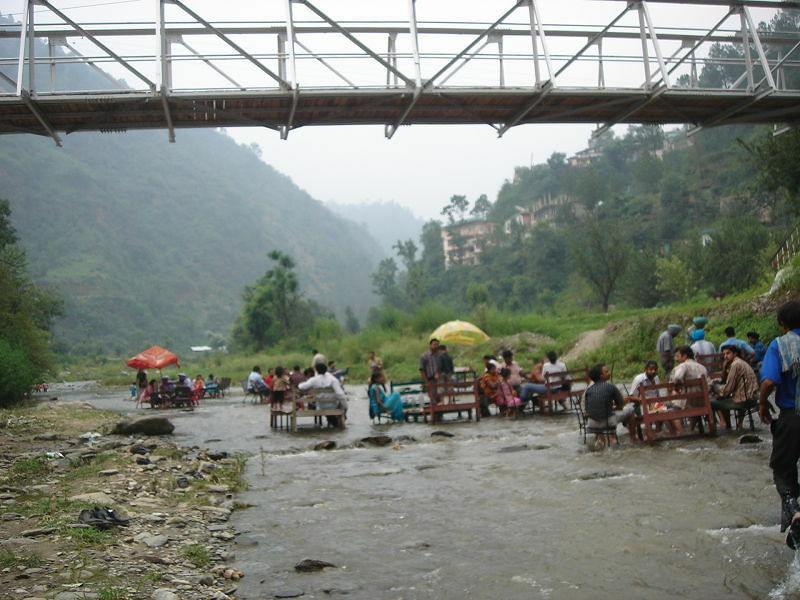 Old Manali – Experience the richness of nature here and revel in splendid sightseeing. Mall Road – Satisfy the urges of the shopaholic inside you and binge on some traditional fabrics and historic artifacts. Rohtang Pass – A truly exhilarating destination, this mountain pass is one to marvel at and serves as the connection to various tourist cities of Himachal like Leh and Ladakh. Naggar Castle – A 15th century old palace, this castle is a retreat for history buffs. Tibetan Monasteries – Visit Manali Gompa, Nyingamapa Gompa, Gadhan Thekchhokling Gompa and many more in Manali to experience peace and tranquility. Vashist Temple & Hadimba Temple – These two are one of the most famous temples of the town and are a must visit for Hindu Pilgrims. Jagatsukh Temple – A beautifully carved temple, this place is merely 6 kilometers from the main Manali town and an eminent attraction of the city. Beas Kund Valley – Watch erratic Beas River flow with its entire splendor here and treat you with activities like river rafting, river crossing or a romantic getaway. Bhrigu Lake – Conspicuous as “Pool of Gods”, this sightseeing location attracts a plethora of visitors every year. Pandoh Dam – Built in 1977, the dam is constructed at a picturesque location and is a getaway for photography and nature lovers. Once you have made up your mind on visiting Manali. The next big question is where to stay in Manali? There is this offbeat resort in Manali you will find suitable to your rich taste. The boutique resort, away from the noisy clutter of urban Manali, is the best place to stay in Manali. Let us be your guide and a facilitator in this memorable tour of yours. With our skilled travel desk and efficient management we promise to make your journey to this beautiful hill station an unforgettable one. Are you looking for a quick getaway to the eternal beauty of soothing nature and the ravishing land of exquisiteness? Are you planning for a family tour in summer vacations to a hill station or a weekend fun trip with friends studded with camping and trekking? The magnificent, dazzling, radiant and captivating land of Uttarakhand awaits you. Spend your summer in the lap of nature and its delightful simplicity. Where no hasty vehicles honk and sun does not burn your skin. Away from the concrete jungle into the forests covering the hazy skies full of beautiful clouds, Uttarakhand has a lot of activities and attractions for everyone. 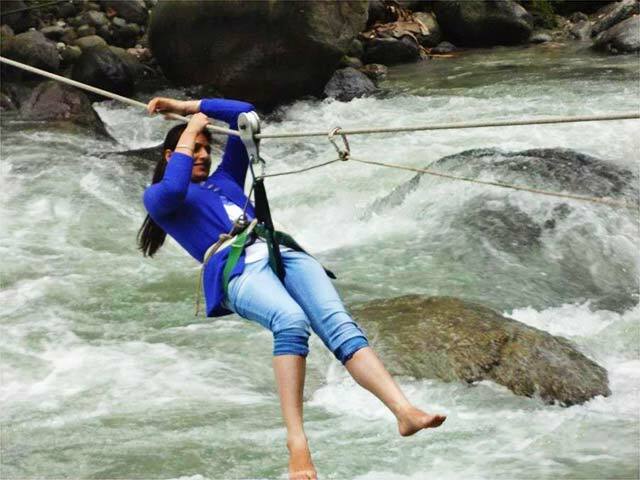 Let it be a stroll through woods to relax your mind or give a chance to high-adrenaline adventurous activities like gliders, sky dives, bungee jumping, trekking, campaigning, to rejuvenate you. These are sure to leave an everlasting mark on each and every tourist who comes to Uttarakhand. On one hand, the best getaways in Uttarakhand include some of the developed cities like Mussoorie, Dehradun, Nainital, Ranikhet, Haridwar, and Almora. 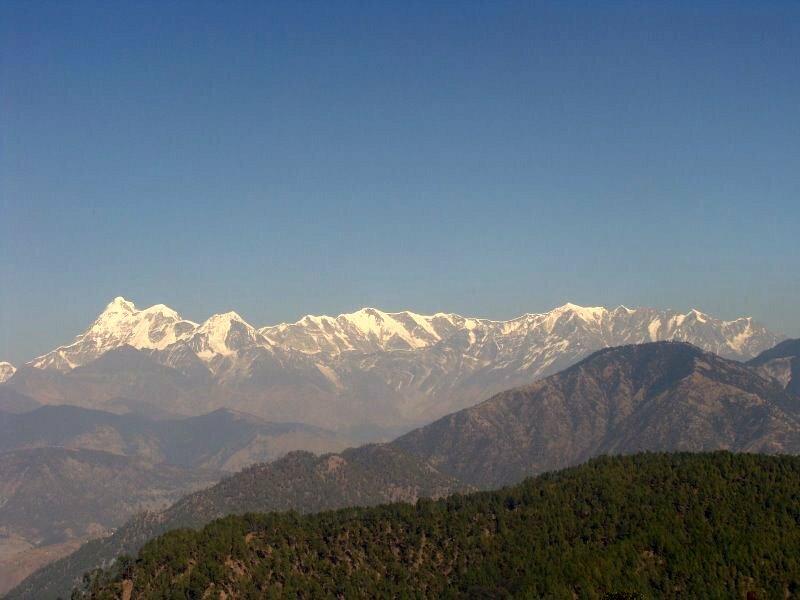 While on the other hand, the state has untouched hill stations such as Pangot, Chanda, Chakauri, Champawat, Kanatal, Kausani, and a lot more offering the virgin charm of unexplored natural beauty in the purest form – away from heavily commercialized and hasty city life. In summers, the hill stations turn into fabulous retreats from the scorching heat of plains. While the hilltops dazzle you with drizzling snows in winters, wide variety of sightseeing opportunities and adventure activities in summers would compensate for that. Camping, trekking, bike riding are some of the adventure activities on show here. The number of tourists visiting the state during the March-June period has been increasing rapidly in the last few years. Some of the major tourist attractions in Uttarakhand include Nainital Lake, Badrinath Temple, Chandi Devi and Mansa Devi temple in Haridwar. 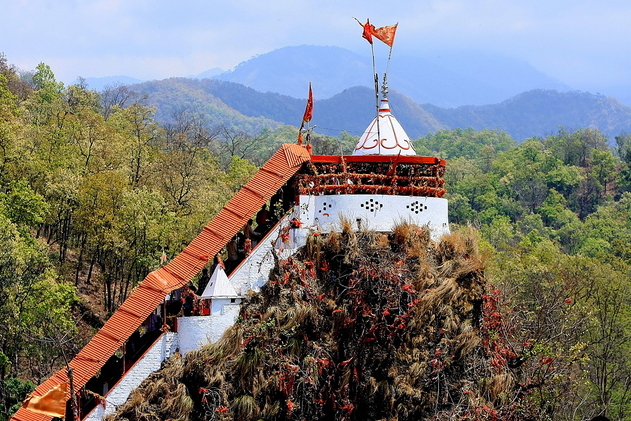 The list is endless, however for your convenience I include Har Ki Pauri, Maya Devi Temple, Ram Jhula, Neelkanth Mahadev Temple, Naini Peak, Tiffin Top, Rajaji National Park, Valley of Flowers, Bhatta Falls, Kedarnath Temple, Daksheswara Mahadev Temple, and Hemkund among the places you must visit. There are some innumerable number of attractions offering an unending list of activities, which mesmerizes you with their delightful beauty. So, plan a quick weekend or a long family trip to the bestowed state and revel in this heavenly abode known as Uttarakhand. Amazing memories are a part of successful trip that includes wandering to some extremely stunning places, experiencing adventurous activities to a safe journey and a comfortable stay. When it comes to the luxury, safety and comfort, you ought to choose the best. PRIM Resorts is one of the best resorts to serve you quality services at affordable price. Rendering their services in most of the cities of Uttarakhand, PRIM Resorts serve you round the clock with a large and professionally trained workforce to your utmost satisfaction. This camp is a must visit for those who are great campers. 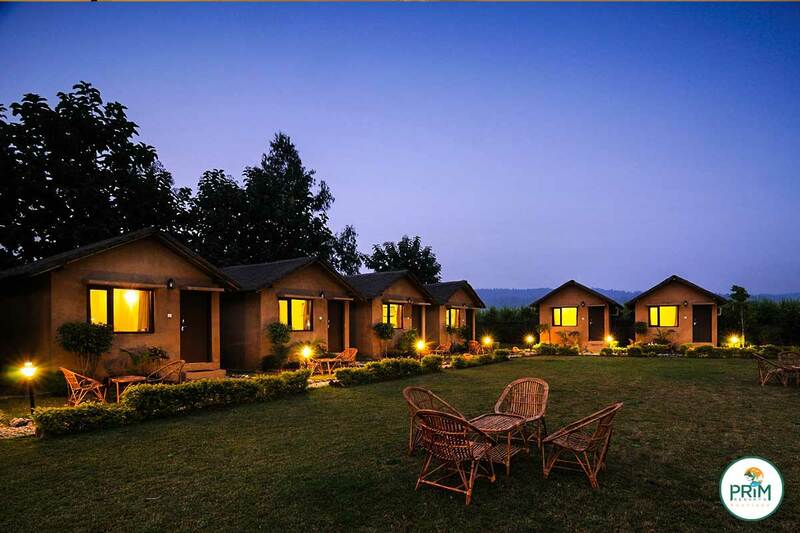 This camp is located deep in the green wild in the Kumaon Region with exoticness dripping at every step you take. Being situated to the east of the Kosi River, its beauty and purity itself increases. So, if you are moving in there with your family and friends, then you should camp out here at the Kyari Camp. This place is exquisite to all newlywed couples and those who want their family’s prosperity and happiness. This temple is beautifully built in the midst of the River Kosi near Ramnagar. The temple is thronged by every second family or couple visiting Corbett to seize some blessings and goodwill. Moving 20 kilometres away from Ramnagar to the east, there is another beautiful temple located which is Sitabani Temple. This temple holds a mythological importance because people believe that Devi Sita had entered into Mother Earth at the same place. The popularity of this temple is so divine that every year a fair is held at the place during the Ram Navami. Moving little bit away from the mythology and temples, let us dwell in history as well with the interesting museums in the Corbett National Park. 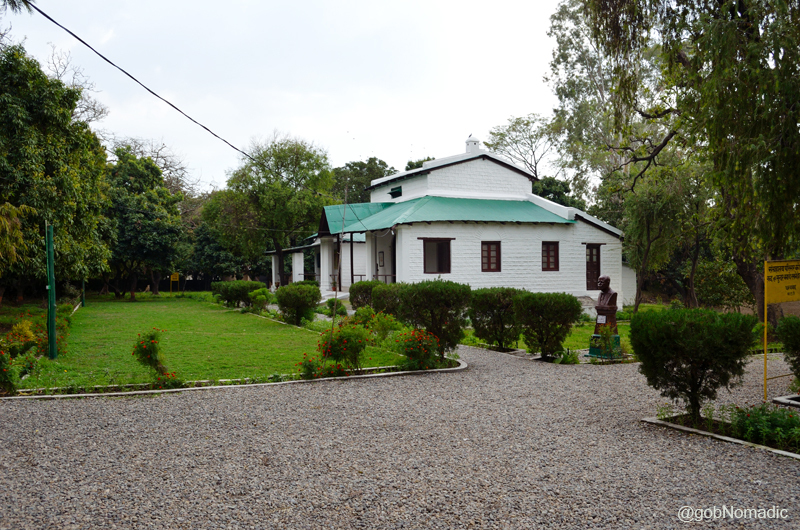 One such very renowned and known museum is the Corbett Jungle Museum, which is also known as the Corbett Home. Given the thrills and facilities it offers, the charges are pretty low and minimal. You are only required to pay 5 INR and 1 INR simultaneously for the adults and students. You can also stumble upon a lot of exotic horror books about man-eating tigers, and flora/ fauna of the place. 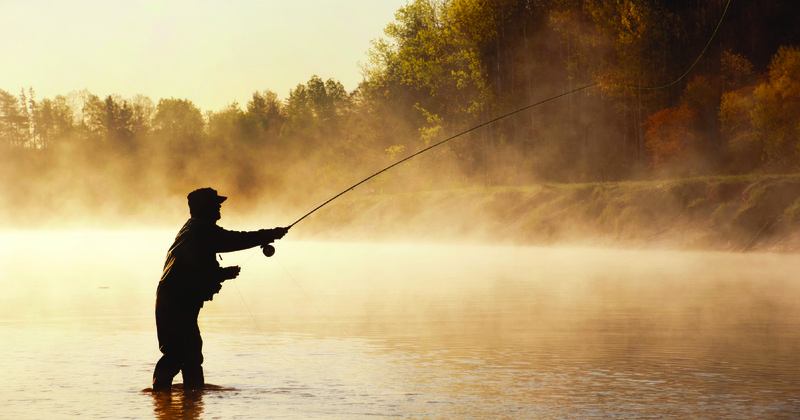 There are guns, fishing nets and other handy items easily available to add some adventure to your fun-filled stay. If you are an enthusiastic wildlife photographer then this place is god-sent heaven for you. The wild animals including panthers move around freely in the area across the peak tourist seasons. You can shoot some quality pictures of birds here thanks to its reputation as a bird paradise. If you have your summer holidays waiting for you then make plans for the beautiful places of the Jim Corbett National Park to enjoy it with wildlife adventure. PRIM Resorts in Corbett will solve your accommodation worries by rendering the best hospitality a traveller can get here.